The easy way to enhance your network infrastructure with LTE/4G for fast Internet at up to 100 Mbps. Whether it is used as a backup or even as the primary connection for small and medium-sized companies: This router easily integrates into networks and, thanks to Power over Ethernet, it can operate without an extra power supply unit. So you can position the device wherever the 4G signal is strongest. With an integrated cellular modem that supports LTE/4G, the LANCOM 730-4G supports wireless broadband connectivity with speeds up to 100 Mbps. It is also ideally suited for intelligent backup scenarios. 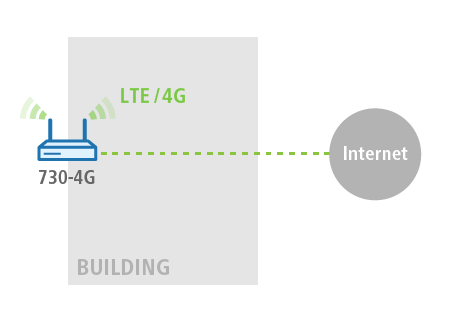 Thanks to VRRP support, the LANCOM 730-4G supplies an LTE connection to other gateways within the network within seconds. The LANCOM 730-4G has a PoE-enabled Gigabit Ethernet port. This makes it quick and easy to integrate into the network and the device can be freely positioned wherever the 4G signal is strongest. 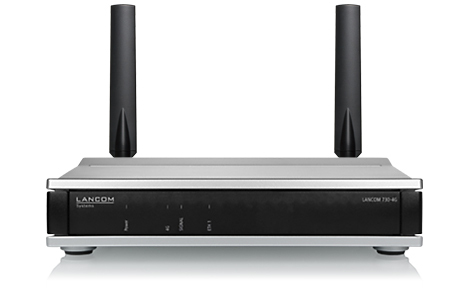 The LANCOM 730-4G is effortlessly managed and monitored by the LANCOM Management Cloud. The LANCOM Management Cloud is the world's first management system for the intelligent organization, optimization and control of your entire network. This radically simplifies the management of installations, from small to very large scenarios. In a market with a strong presence of American and Asian products, LANCOM offers maximum security "Made in Germany". The entire LANCOM core product range is developed and manufactured in Germany and tested according to the highest standards of security, data protection and quality. The company's own "closed-source" operating system LCOS is developed at the company headquarters in Germany. Our own team of developers works in a highly secure environment as certified by the BSI (German Federal Office for Information Security), all of which is subject to the highest standards of security, encryption, and quality. With the LANCOM 730-4G you supplement your local network with a wireless LTE/4G Internet connection offering up to 100 Mbps. Operated as a standalone Internet access router, it is ideal for sites without a wired Internet connection. PoE allows the LANCOM 730-4G to be positioned exactly where the best LTE/4G signal is available—without any need for costly cabling for a power supply or external LTE/4G antennas. Should your primary connection via DSL go down, the gateway falls back on the up to 100 Mbps provided by the LTE/4G of the LANCOM 730-4G until the DSL connection is available again. 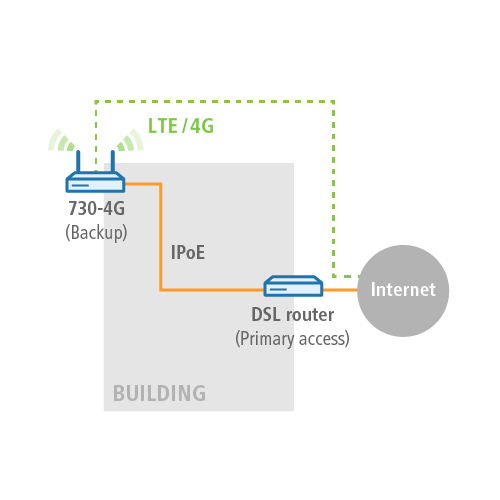 Data is exchanged via the transparent network connection (IPoE) between the LANCOM router and the LANCOM 730-4G. Do you need help with the configuration? Critical network infrastructures in particular benefit from a 4G backup by means of VRRP: In case of a failure of the main gateway (from any manufacturer) or of the primary Internet connection, the Virtual Router Redundancy Protocol (VRRP) immediately switches to the LTE/4G backup Internet access provided by the flexibly positioned LANCOM 730-4G. 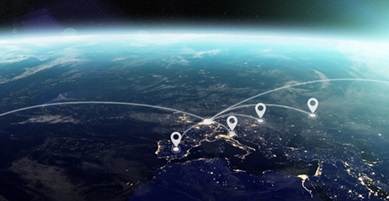 What this means is: Maximum failover reliability, because within seconds your network provides a high-performance Internet connection via LTE/4G at up to 100 Mbps.